The Arvada City Council recently voted to participate in a metro-wide cooperative program, called metroDPA, to assist Arvada residents pursuing homeownership. MetroDPA provides special down payment assistance for low- and moderate-income individuals and families seeking to purchase a home. The program provides down payment and closing cost assistance (up to 5 percent of your loan) as a zero-interest, forgivable second mortgage. The metroDPA program is a partnership of the Metro Mayors Caucus and is being coordinated by the City and County of Denver. 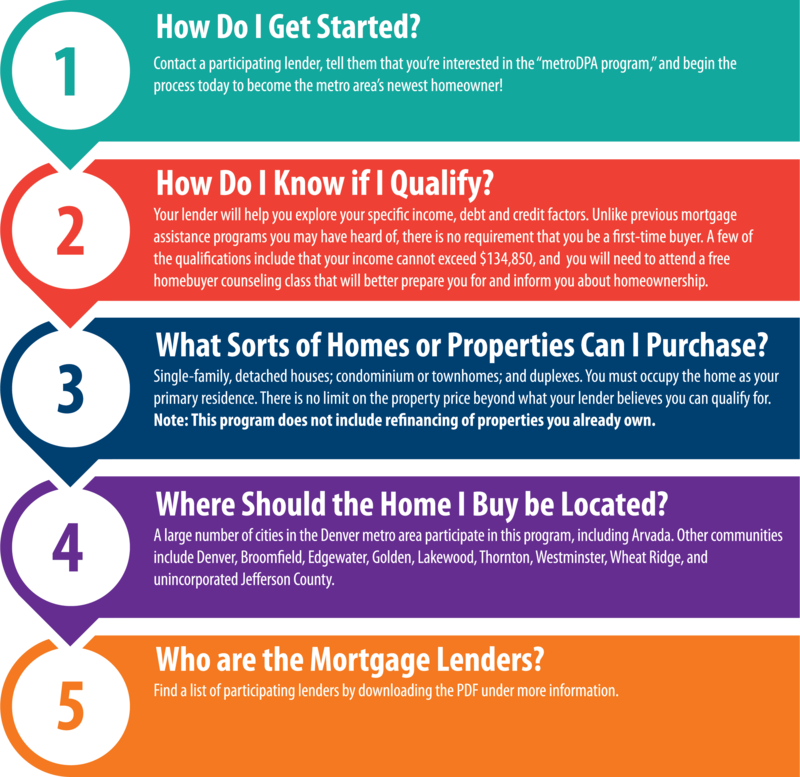 For a list of mortgage lenders participating in the program, non-profit organizations providing required homebuyer counseling and FAQs, download a metroDPA Down Payment Assistance fact sheet. Denver Affordable Housing Ownership Program: 720-913-1634.